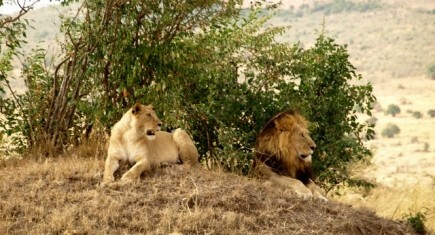 With approximately 21,000 square kilometers is the largest national park in Kenya. 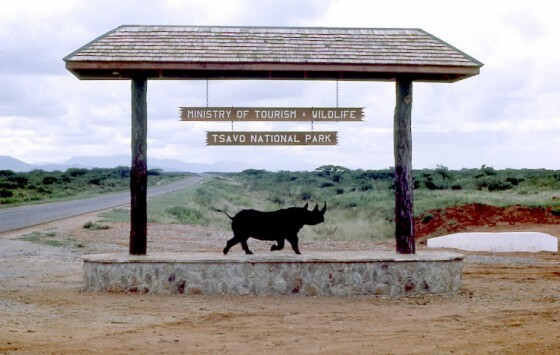 The highway linking Nairobi to Mombasa divided the park resulting in Tsavo West (9,000 square kilometers) and Tsavo East (12,000 square kilometers). It has a greater presence of wooded areas regarding Masai Mara and Amboseli thereby making it more difficult for watching wildlife. 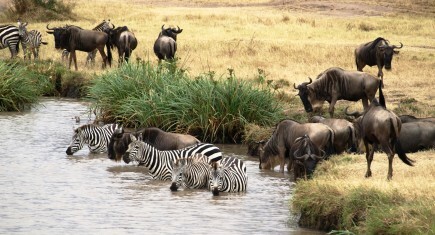 In its favor include its landscapes are among the most impressive in Kenya and fauna less accustomed to visitors behavior shows a wilder and less peaceful. During the dry season the landscape is dry and dusty, while in the rainy season an explosion of color in turn, increased vegetation provides greater difficulties for wildlife viewing occurs. One of the saddest chapters of this park was experienced in the 1980s, poaching reduced populations of elephants and rhinos to almost zero. Subsequent conservation programs have managed to recover their populations before it was too late. 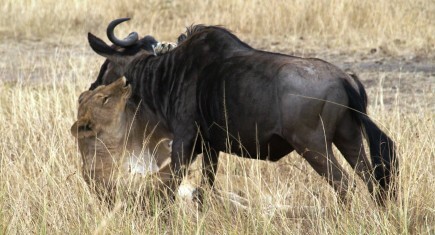 Park Tsavo West is more attractive because of its great diversity of landscapes, which include wetlands, plains, volcanoes and green thicket, but its dense thicket counterpart hinders observation of animals. Among its main attractions is Mzima sources that supply water to all Mombasa, the crater Chaimu, the Roaring Rocks viewpoint offering magnificent views and Reserve Ngulia rhino. 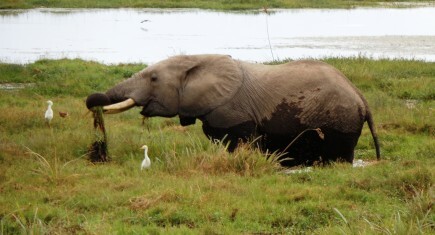 Tsavo East park offers a drier landscape, although less vegetation and wildlife density is lower than in her sister Tsavo West, the probability of observing is greater. Attractions include Falls Lugards, the Crocodile Point from where you can see hippos and crocodiles and Mudanda Rock offering a panoramic attending a wetland to elephants in the dry season.